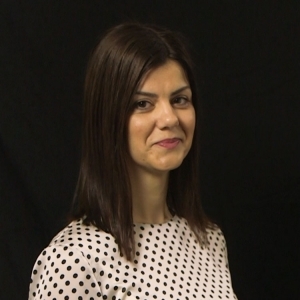 Claire ECONOMIDOU is an Assistant Professor at the Economics Department of the University of Piraeus . Before becoming a member of the department, she was Assistant Professor at the University of Utrecht (Utrecht School of Economics, Utrecht University) in the Netherlands from 2004 until 2009. From early 2004 and for six consecutive months she was brought to EUROSTAT (EU Commission) Trade Sector in Luxembourg. She holds a Doctorate (PhD) from the University of Wisconsin-Milwaukee (2004), Graduate Diploma in Economic Science (MSc) from the University of Macedonia, Thessaloniki (2000), and a basic degree (BSc) in Mathematics from the Aristotle University of Thessaloniki (1997). At the University of Piraeus teaches Macroeconomic Theory I, Economic Growth and Development, and Special Topics in Macroeconomics. Her research interests lie in the fields of Economic Growth and Development and International Trade. More specifically, the current research examines the role of productivity, technology, efficiency and trade on growth countries ( industries ). Her research has been published in prestigious journals such as European Economic Review, Journal of Development Economics, Review of Development Economics.